The nation’s best made their way to Rock Hill, SC to compete for the most prestigious Youth and High School All-American Games in the nation. 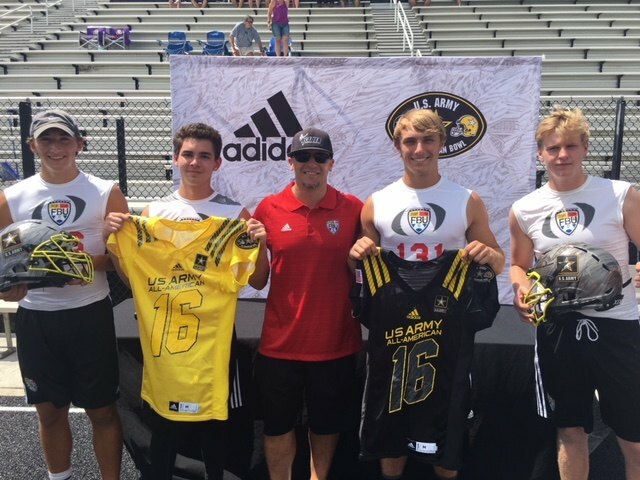 FBU in partnership with Chris Sailer Kicking hosted their annual Top Gun Camp for specialists July 14-15, 2017. Over 1,300 athletes in all will participate in this camp before all is said and done. 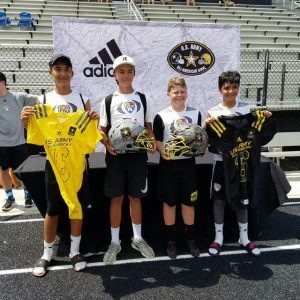 At stake, four high school U.S. Army All-American, two ninth grade FBU All-American and two 8th grade FBU All-American selections for kickers/punters. Specialists form all over the United States met up in SC to battle for the honor. Take a look at the results. Brandon Ruiz (AZ) – The #1 ranked kicker in the nation and Alabama commit dominated the field. His field goals are elite and his kickoffs are ready for SEC ball right now. He defeated Jonathan Doerer (NC) and Chris Landgrebe (OH) in the finals to earn one of the coveted spots. Look for Brandon to have a large impact on the game. Joseph Bulovas (LA) – The #2 ranked kicker in the nation and Georgia Tech commit was on fire from start to finish. He has 60 yard field goal range and hits his kickoffs deep into the end zone. Joseph is a tremendous athlete that does extremely well under pressure. He is well deserving of this honor and will represent the East very well. Tucker Day (TN) – The #1 ranked punter in the nation showed proved why he is deserving of that rank once again. He easily had the strongest leg of all the punters and hit the biggest ball. HIs strength and consistency earned him the spot in the end. He defeated Tommy Martin (VA) in the final by nailing a 60 yard punt with 4.84 second hang time. Tucker has NFL type talent. Joseph Doyle (TN) – Tennessee made it a clean sweep at the punting position with Joseph’s phenomenal performance. He was the most consistent punter over the course of the two days and it paid off in the end. He average over 40 yards with 4.6 plus hang time. He also stepped up under pressure and defeated other major D1 prospects. The U.S. Army All-American Bowl will take place on January 7, 2017 at the Alamo Dome in TX. The game will air on NBC. BT Potter (SC) – Talented athlete with a big time leg. He dominated most on kickoffs. Jason Stricker (NC) – Consistent performer that kicks with great technique. Josh Plaster (TX) – Strong legged young man with a bright future. Dillon Fedor (NV) – Dillon is a special talent. He did an excellent job over the course of the two days. Whichever team he lands on will be in good hands. Parker Hannon (GA) – The longtime FBU and Chris Sailer Kicking specialist came through in the clutch. He has a great leg for his age and kicks with great consistency. Andrew Borregales (FL) – He is an excellent young kicker. Kicks with great technique and does well under pressure. Carter Davis (FL) – The longtime FBU and Chris Sailer Kicking specialist earned All-American Honors for the second straight year. He does an excellent job. 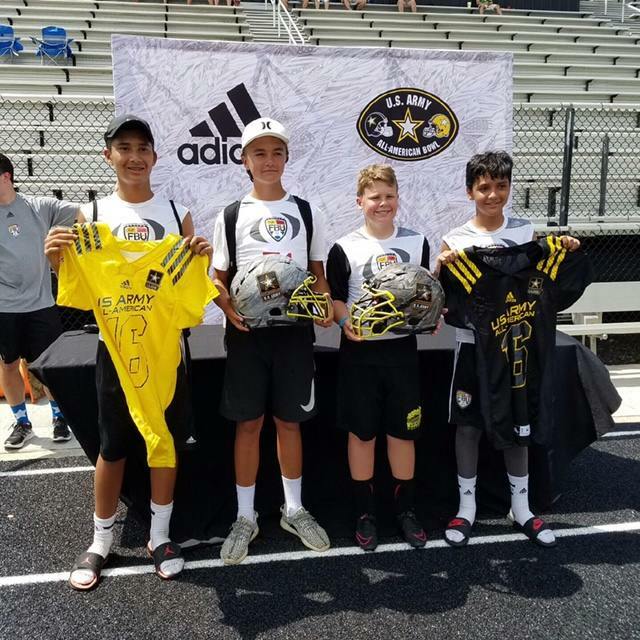 The FBU Youth All-American Bowls will take place at the Alamo Dome in TX.